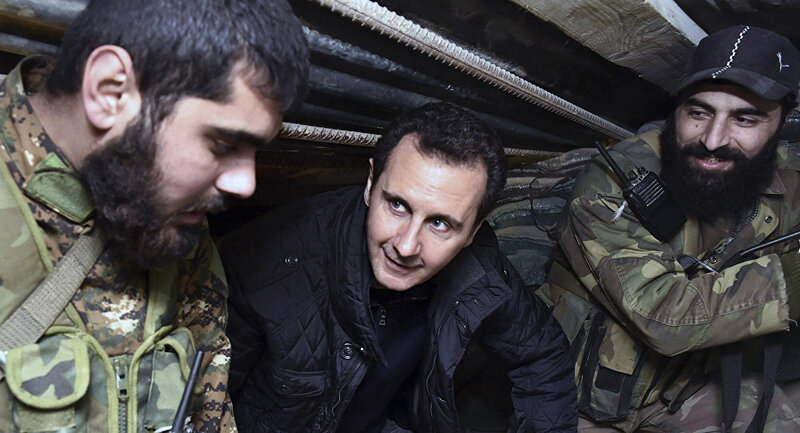 According to a report by the Syrian state news agency SANA, President Bashar al-Assad visited army positions in the Eastern Ghouta suburb of Damascus. "In the line of fire in Eastern Ghouta… President Assad with heroes of the Syrian Arab Army," the president’s Telegram account said. Pictures showing the Syrian president surrounded by men in military clothing along damaged buildings with several parked tanks in liberated from terrorists areas of Eastern Ghouta quickly spread across social media. — SantaKlaus (@123_Skandinavia) 18 марта 2018 г. According to the Syrian army command, government troops had already liberated 70 percent of Eastern Ghouta’s territory, which has been under terrorists’ control since 2012.